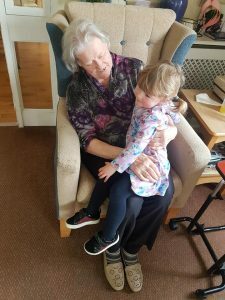 Many people watched the Channel 4 TV show called The Old People’s Home for 4 Year Olds, which looked at the benefits of inter-generational activities. 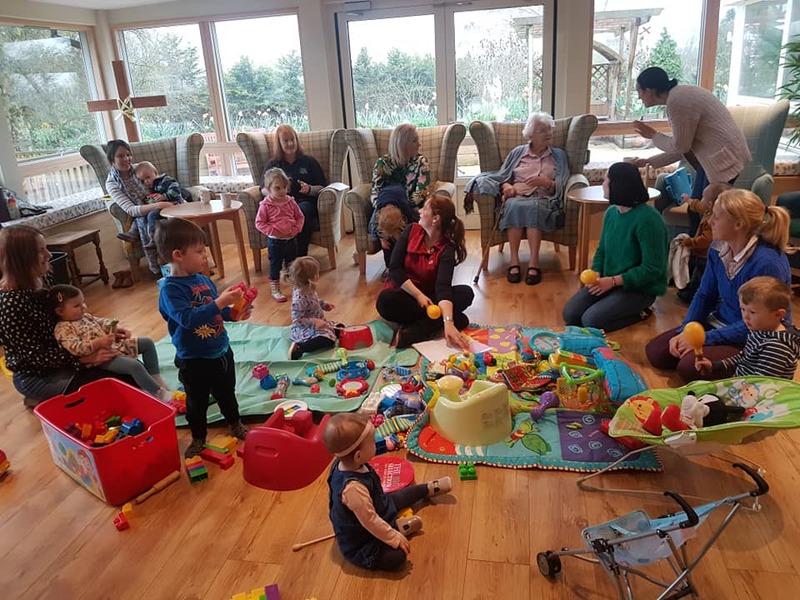 In the series, one of the UK’s biggest retirement villages opened a nursery where the classmates’ ages ranged from 3 to 102. It looked at what the very young and the very old learn from each other? 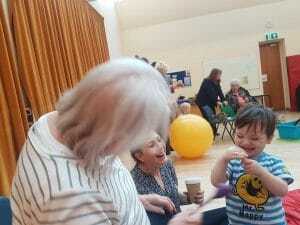 We have long established bonds with our local schools and see first hand the mutual benefits of inter-generational activities. For our residents, reading with a child or playing can bring a purpose, a reason to smile. A natural lift which can raise spirits and those smiles stay long beyond the children’s home time. For the children, they have a whole lot of new grandparents to share their games and introduce their teddies to. To listen to their stories and give them their time. When life is so non-stop and hectic for most adults, the younger and the older generations have in common the ability to just be – to live in the moment. We have a lovely relationship with the parents and children of Kimbolton Playgroup, who regularly visit. Our huge conservatory is perfect for toddlers to play and we have lots of bricks and games – and biscuits and cake for all. You can see from this gorgeous picture below just how special the bonds can be. Full Circle host an inter-generational activity every second Monday of each month. This is at the Baptist Church, Leominster and some of our residents are always keen to attend. 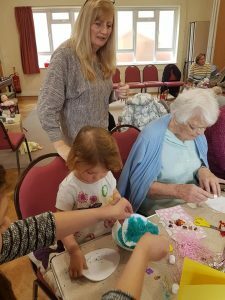 This is a wonderful community activity, most recently being a craft day making Easter cards. The Courtyard is a great venue that often organises play together activity. They have a huge space so there are always giant balls, bigger than the children and a lot of laughter running around!